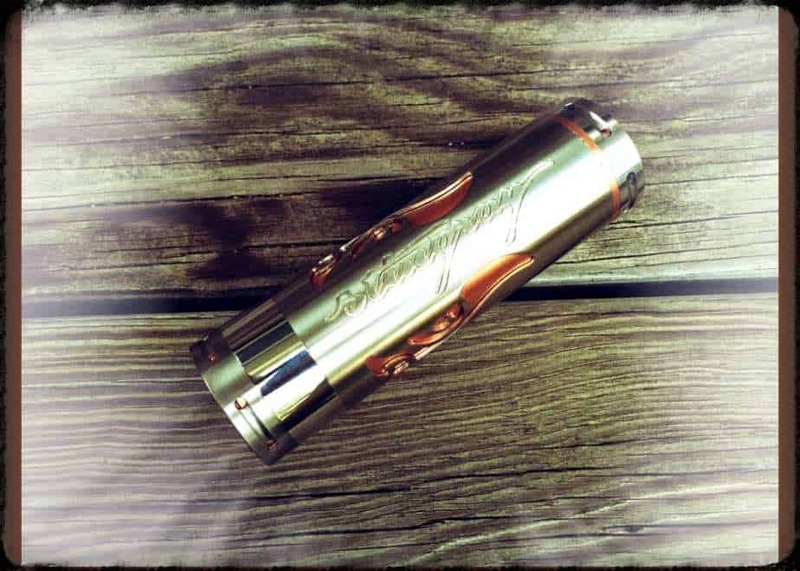 The Big Stingray X mod is a 26650 version of the 18650 Stingray X mechanical mod which is originally made by JD Tech. I have previously reviewed the 1:1 Stingray X clone by SXK, and an earlier release of a 26650 Stingray X made by Shenzhen United Electronic Co also known as iVOGO. This 26650 version of the Stingray X mod is made by Shenzhen Clouds Technology, LTD, an is actually much closer in appearance and build to the original Stingray X, than the 26650 Stingray X I previously reviewed. This version of the 26650 Stingray X is available in 4 different colors, silver, gold, black, and blue. The Big Stingray X 26650 mod featured in this review comes from Focalecig.com sku # 20182, and retails for $33.19 USD. The Big Stingray X mod comes in a faux leather gift box which is almost identical to the packaging for the SXK Stingray X clone. This 26650 Stingray X is a truly beastly creation! 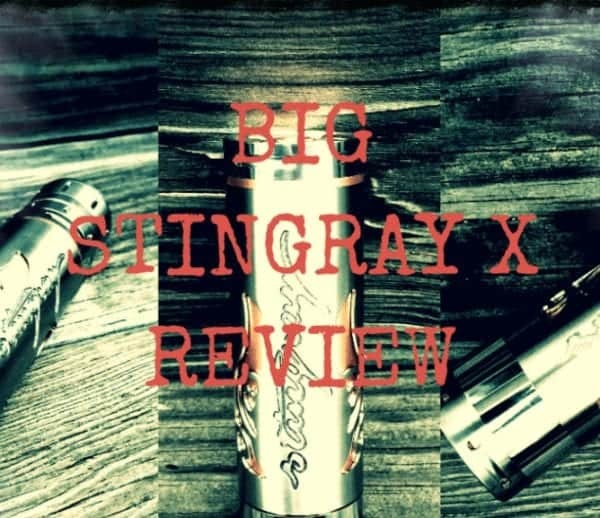 Unlike the previous 26650 Stingray X that I reviewed the version featured in this review is made from real copper and wrapped in 304 grade stainless steel. Aesthetically speaking, this 26650 also looks a lot more like the authentic 18650 Stingray X mod. There are four basic components to this mod; a main body tube with locking ring, a top cap and switch. The main body has the same deeply engraved logo and decorative cut outs as the original Stingray X. As nice as the actual logo is, it also appears to have been placed slightly off-center on the tube. Unlike the 18650 Stingray X, the copper and stainless steel tubes have not been welded together in the same manner. If you look around the logo cut outs you can see a tiny space of separation between the copper inner tube and stainless outer tube. There is some sort of welding between the tubes because they cannot be separated and have not moved or shifted in any way. The inner copper tube is very thick, and is fully exposed where the steel tube ends. The locking ring is threaded on the outside of the copper tube and the locking ring itself is also thick and sturdy. The threading on the main body tube is fine and clean with a thread pitch that appears be similar to the 18650 Stingray X. The top cap is similar to the original Stingray in appearance, but has dual adjusting copper contacts instead of a silver plated floating positive contact pin. The eight air holes around the top cap are for appearances only, and have no functional purpose. The switch itself is thick and heavy, but so is every other individual component of this mechanical. Interestingly enough, the switch actually resembles the design and construction of the Stingray V1, as opposed to the Stingray X. The parts breakdown of the magnetic switch is basically identical to the Stingray V1. The magnets inside the switch are very strong and the delrin insulator that houses the negative contact and magnet is threaded. The switch has adequate battery venting with the eight air holes drilled around the bottom and the vent slots drilled into the brass threaded portion of the switch. The JD logo is also deeply engraved into the bottom of the switch. When compared to the previous 26650 Stingray X that I recently reviewed, the difference is striking and immediately apparent. First there is the difference in size, with the Big Stingray X being 10mm taller, and 100 grams heavier than the 26650 Stingray X pictured below on the right. The build quality of the Big Stingray X is far and away better than the Stingray X on the right however, the Big Stingray X is not without its issues, which I will elaborate on further in the performance section of the review. Now compared to the SXK Stingray X, you can see that the manufacturer of the Big X intended for their design to closely resemble the original Stingray X. Even so, the Big X still lacks some of the finesse in finishing that the SXK Stingray has been praised for, specifically the inner and outer tube welding. My favorite aspect of the Big Stingray X is the depth of engravings on the switch, which is a dead on replication of the authentic Stingray X switch logo. For all of its aesthetic appeal the Big Stingray X does have one flaw, and that is the length of its main body tube. Using the one 26650 atomizer that I have (Aerotank Giant), and a MNKE 26650 battery I could not get this mod to fire. Of course I tried several adjustments between the top cap and switch and no amount of adjusting was enough to achieve connectivity between the battery and attached atomizer. As I previously mentioned, this 26650 Stingray X is 10mm taller in height than the first 26650 Stingray X mod. Due to the height of the switch design. The main body tube should be taller in height than the other 26650 Stingray X, but it is approximately 2-3mm too tall. The good news, luckily for me the magnetic battery spacer that came with my 4nine mod was useful in helping me resolve this issue. With the battery spacer attached to the bottom of the MNKE 26650 battery I was able to get this mod to continuously fire. Perhaps if I had an atomizer with a longer 510 pin, I would not have had an issue? I searched to the internet to see if anyone else may have had the same issue with connectivity however, I could not find a single user review for this mod. I am not sure if the main tube was just too long on the piece that I received, or if this is an issue across the board. 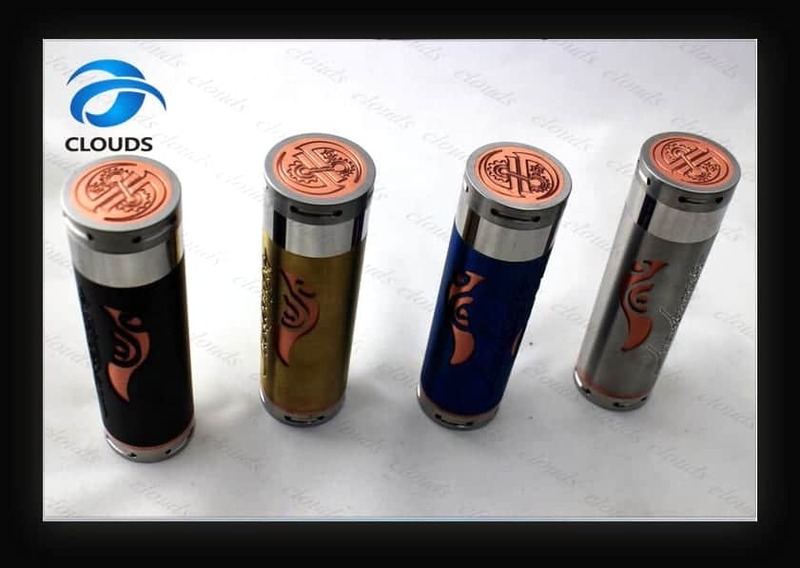 I contacted the vendor from whom I received this mod and they state that they have sold many pieces of this exact mod and have not received any complaints regarding the inability to fire an atomizer with this mod. The switch action was very crunchy right out of the box however, the crunchiness is caused by the thickness of the copper tube which the switch bottom cap was grinding against when activated. The switch unto itself is not crunchy at all. To fix this issue I used 400 grit wet/dry sandpaper to sand down, and smooth the outer copper tube in order to create a bit more clearance between the tube and the switch. This did resolve much of the crunchiness that I initially experienced however, the switch is still not quite as smooth and easy as the first 26650 Stingray X that I reviewed. I think that with a bit more work with the wet/dry sandpaper it will be perfectly smooth. On the brighter side, I did perform a voltage drop test with a 510 inline volt meter, and with a 1.5 coil head the result was a voltage drop of .10 which is excellent in terms of conductivity. The test was repeated 3 times, with the same result each time. Upon first sight I was very attracted to this mod due its aesthetic appeal, and how closely it resembled the authentic Stingray X 18650 mod. While some may be bothered by the weight of the mod, I personally am not. As a 26650 mod I expect it to be heavy. The high point of this mod is the overall build quality of the mod. The let down is the fact that I needed a battery spacer in order to fire this mod. In spite of that issue, this mechanical mod has very good electrical conductivity and is a hard hitter. Being that the SXK Stingray X is hands down my favorite mechanical mod, I had hoped that I had found its 26650 equivalent. Without other consumer feedback to compare my findings to, I do not know if I just received an irregular piece or if this is how all of the Big Stingray X’s from this manufacturer are made. My hope is for the former because this 26650 mechanical mod otherwise has a lot going for it. I dig the blue one too, I would like to get a blue set up at some point. The blue EHpro KFL V2 is sick looking. Nice looking Stingray. Thanks for the awesome review. Thank you kindly Sir 🙂 .. it is a rather handsome for its beastly stature, lol. I picked this mod up this mod about 2 weeks ago and I love it. I saw the mod in a case in a relatively new vape shop. I was immediately drawn to the blue and copper look. Being relatively new to vaping, my only other experiences were starting out with a Spinner 2 with a cheap tank followed by an IPV3 with an Aspire Atlantis tank. I had taken the IPV3 to paint it and bought this mech mod as a backup. First impressions, I love the style, the color combination and the weight of it. My one problem with it is the switch action. There is crunchy up and down slide as well as side to side wiggle. I believe the mod is made by Infinite but these switch issues seem to be standard. The side to side wiggle seems to be related to a small brass pin, estimated 1.6mm x 8mm. I have read replacing it with a slightly larger diameter pin. The up and down crunch seems to be caused by the bottom inside edge of the brass threaded collar, that screws into the bottom of the mod tube, and the center copper tube, which is the bottom of the switch. That inside edge is almost razor sharp and seems to catch on that center tube. I believe it could benefit from either a beveled edge or just some sanding to round it over. An application of some graphite or light lubrication might not hurt either. When I try these modifications out I will post the results. Overall I love the mod I get questions about it all the time and in love showing it off. The mod performs well with my Aspire tank as well as two other RDA’s, my Stillare and my Dark Horse tips.